Two years ago I had no idea what a lentil was. When I was in high school, I was in a production of Into the Woods. At one point during the show, Cinderella’s stepmother throws a whole pot of lentils into the ashes of the fireplace, telling her stepdaughter that only after she picks them all out can she go to the festival with her stepsisters. I remember thinking, What on earth are lentils? I’m pretty sure this was the first time I’d ever heard the word. For some reason, I pictured them as small, squiggly little things, sort of like the germ that separates from the grain when you cook quinoa. Though at this point, I’d never heard of quinoa either. 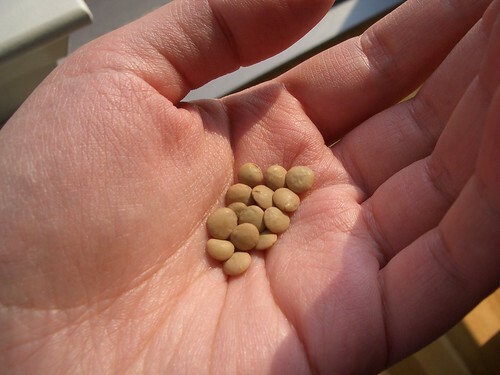 I didn’t actually meet one of these tiny legumes until I started at my current employer. I was working as a receptionist at the time and was ordering a salad online for one of the partners. “He sometimes likes lentils in his salad,” I was told. There was that word again. Lentil. What the heck is a lentil? Determined to get a tangible answer, I decided to add them to my own salad that day as well. When my salad arrived, there were dozens of small, round, gray-green things scattered throughout the greens. Ah, so those were lentils. Maybe not what I expected, but it confirmed one thing: Cinderella’s stepmom was mean. As I ate my lunch, thinking how much I liked these little guys, I pulled up a Wikipedia search. Turns out, they’re high in fiber and protein and iron. Iron! I was thrilled. I needed all the iron I could get, what with my anemia and everything (now better since going GF, of course). 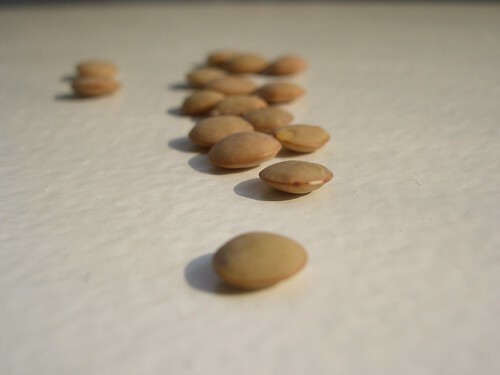 In addition to being tasty and nutritious, lentils are also meatless, which makes them perfect for a Monday. 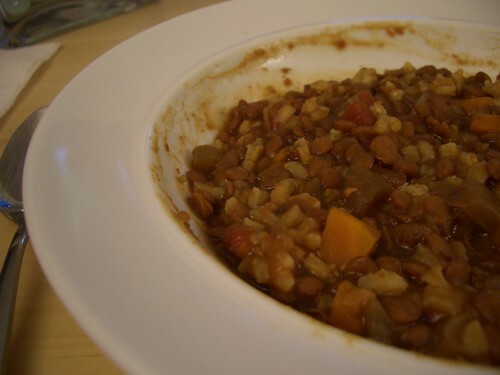 So this week I am offering you my vegan, slow-cooker adaptation of a wonderful, traditional lentil soup with rice by Marcella Hazan. I apologize in advance for the picture—few things look quite as unappealing as lentil soup shot in low light. I promise though, it tastes great. I recommend using a slow-cooker for this recipe. I don’t use mine very often, but I like it for lentil soup, if only because it does so well cooking low and slow all day long. That and sometimes it’s nice to come home and have dinner ready and waiting for you. Add the vegetables, lentils, stock, EVOO, a pinch of salt and a few grinds of black pepper to the slow cooker. Stir together. Set the slow cooker to low and cook for 8 to 10 hours. If you don’t have that much time, set to high and cook for 4 to 5 hours. During the last 25-30 minutes of cooking, add in the rice. Cook until al dente. Taste, adjust salt and pepper if necessary, and serve. That’s it. Pretty simple, right? This takes anywhere from 15 to 30 minutes to throw together in the morning, depending upon how slowly you move at that time, and is a complete, protein-packed meal in a bowl. And if you’re not going full-out vegan, Marcella recommends a little sprinkling of Parmigiano Reggiano. See? I told you the cheese was going to sneak in sooner or later.